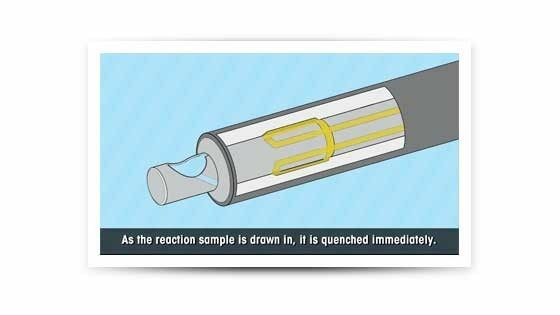 Reliably taking representative samples of oxygen or moisture-sensitive reactions and reactions at elevated pressure or sub-ambient temperatures is virtually impossible. Highly toxic reactions present additional challenges. 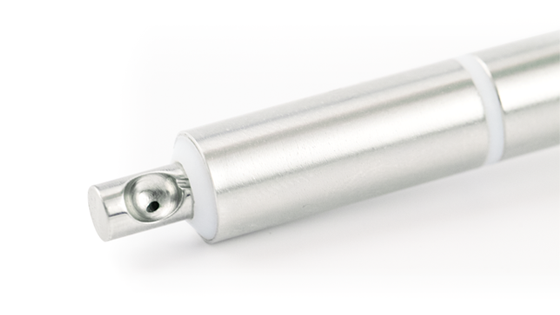 The unique patented EasySampler probe enables the capture and immediate quenching of reactions to provide a sample representative of a reaction at the time of sampling. EasySampler is immersed into a reaction, where it remains for the duration of the experiment. The sample pocket moves out and is filled with a sample. As the pocket withdraws, the sample is quenched immediately, at reaction conditions. The sample is then diluted to a user-specified concentration and ready for offline analysis. Sampling reactions with precision is challenging. Sampling is especially difficult for heterogeneous and multiphase reactions. EasySampler samples from the same point in the reactor, into a pocket of fixed volume and includes solids. 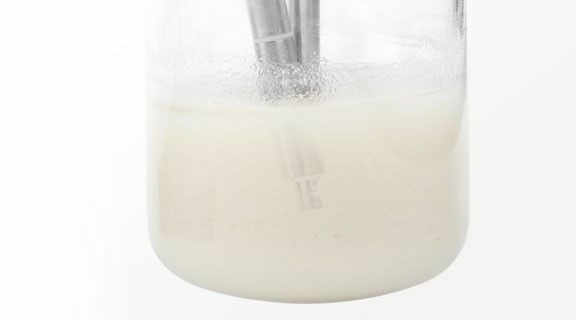 Solids dissolution begins immediately, with the quench and dilution steps, delivering dissolved samples to gain representative, reproducible and accurate analytical data. Sampling toxic or long reactions, or reactions for Design of Experiments (DoE) studies, can be impractical and cumbersome, leading to blind spots in data. This often requires repeat experiments. EasySampler samples the same way every time and can be programmed for continuous sampling operations 24/7 to provide data sets for complete reaction understanding, improving productivity. 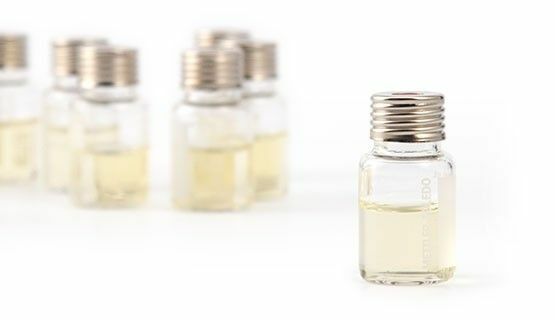 After quenching, the liquid handling system dilutes the sample to a user-specified concentration and transfers the sample to a vial, making it ready for offline analysis. These steps can be used for derivatization, decreasing sample preparation time and eliminating human error. 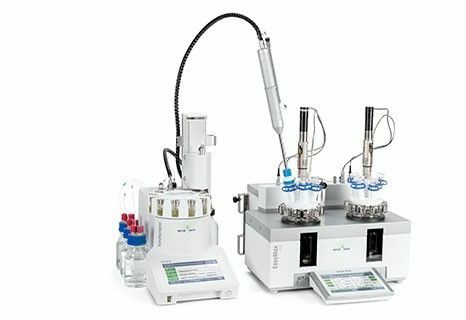 Plug-and-play integration of EasyMax Advanced, OptiMax and RX-10 with EasySampler enables faster chemical development. Automated reactors control reaction parameters while running experiments 24 hours a day. Adding EasySampler provides representative samples throughout the course of the reaction and high quality HPLC data for accurate and complete reaction profiles. iControl software controls the reactor system and EasySampler, and reports all experimental data in one file. With these integrated tools, scientists can quickly understand, innovate, and make informed decisions so that reactions can be optimized in less time. 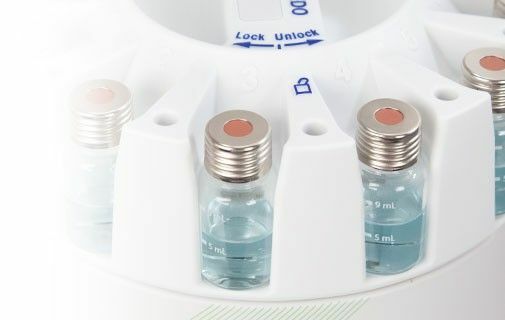 Pfizer eliminated sampling challenges with an automated and robust inline method of taking representative samples from reactions, even under difficult conditions, for improved impurity profiling. Visit EasySampler eSupport for videos, manuals, application information and more. This Quick Start Guide provides step-by-step instructions to set-up EasySampler for unattended automated sampling. 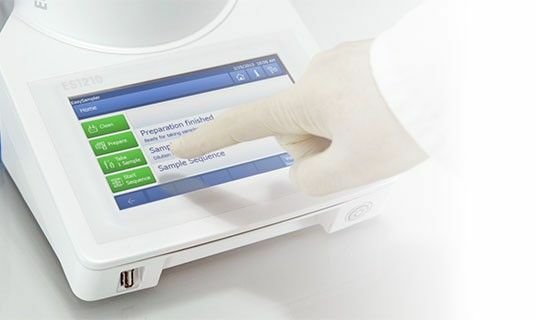 This Quick Start Guide provides step-by-step instructions to connect EasySampler to EasyMax, OptiMax, or RX-10 using the EasySampler Connectivity Kit. Operating instructions for EasySampler 1210. Tips and tricks for EasySampler, including set-up, probe introduction, data management and sampling for different types of reactions. This white paper discusses the root cause of by-product formation in a hydrogenation reaction. and how to avoid by-products during hydrogenation. Are You Ready for the ISO9001 Revision?